AfL Seminar: Is it really Albert’s Hall? How one woman’s determination shaped the evolution of the arts and sciences in South Kensington. Prince Albert is forever connected to the great hall in South Kensington that bears his name, and has long been seen as the iconic symbol of Albert’s work for the arts and sciences. However, it seems that the great hall was conceived after his death by Queen Victoria, their son Bertie, and the entrepreneur Henry Cole. This seminar will therefore discuss the ‘real’ story behind Albert’s Hall. Beginning with his work for the Great Exhibition, we will turn to how Queen Victoria chose to celebrate and continue Albert’s legacy after his death in 1861. This seminar will include an examination of documents from a number of archives, including letters in Albert’s own hand, and examples of music which were performed during the Hall’s early years. Fiona Gibbs graduated from the Royal College of Music in 2018 with a doctorate in Music. She is hoping to publish her thesis, ‘The Royal Albert Hall: A Case Study of an Evolving Cultural Venue’ in the near future. Fiona has previously spoken for Archives for London in 2014 and at the BBC Proms, the Royal Musical Association, Imperial College, Ted Talks and the Foundation for International Education. A professional violinist, Fiona performs regularly on a freelance basis and she is part of several chamber ensembles and orchestras, including The Gibbs Trio, with her brothers. In 2012 Fiona co-founded ‘Orchestra Vitae’, which provides musical workshops for schoolchildren in London. Alongside her academic and performance work, Fiona teaches violin, piano and music theory. Advance booking is essential. Please book your place through Eventbrite or by telephoning Alex Fisher (AfL Secretary) on 020 7594 8818. 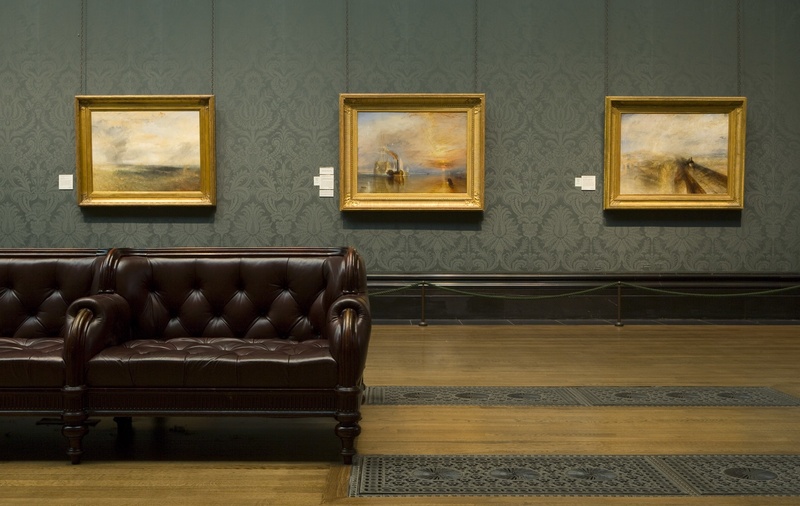 This talk will consider the history of the Turner Bequest at the National Gallery, starting by looking at Turner’s will, how it was contested by his relatives before the Court of Chancery, and the resolution of the court case. We will then turn to the history of the display of the Turners at Trafalgar Square and the complicated relationship between the National and Tate Galleries as they sought to determine the final, and at times controversial, distribution of the bequest. Alan Crookham is Research Centre Manager at the National Gallery where he is responsible for the management of the library and archive collections and for the strategic development of both physical and digital access to these resources and augmentation of their use for research. He also works to support collaborative research activities both within the Gallery and with the broader academic community. Alan is the author of The National Gallery: An Illustrated History. 27th March – Is it really Albert’s Hall? How one woman’s determination shaped the evolution of the arts and sciences in South Kensington. 6th December – Archives of the Worshipful Company of Musicians. 23rd January – From Big Ben to the Liberty Bell: the archives of Whitechapel Bell Foundry. 27th February – Alderman Arnold fitz Thedmar – London’s first civic historian. We run workshops for professional archivists and archives users based on the needs of our membership. While we have none currently planned, we would like to hear from you if you have a particular skill or topic you would like to see covered. You can contact us here.